Scott Campbell's newest offering to readers is a detailed guidebook which promises to assist restoration mechanics through all projects associated with restoring one of the most beloved muscle cars to fighting form! 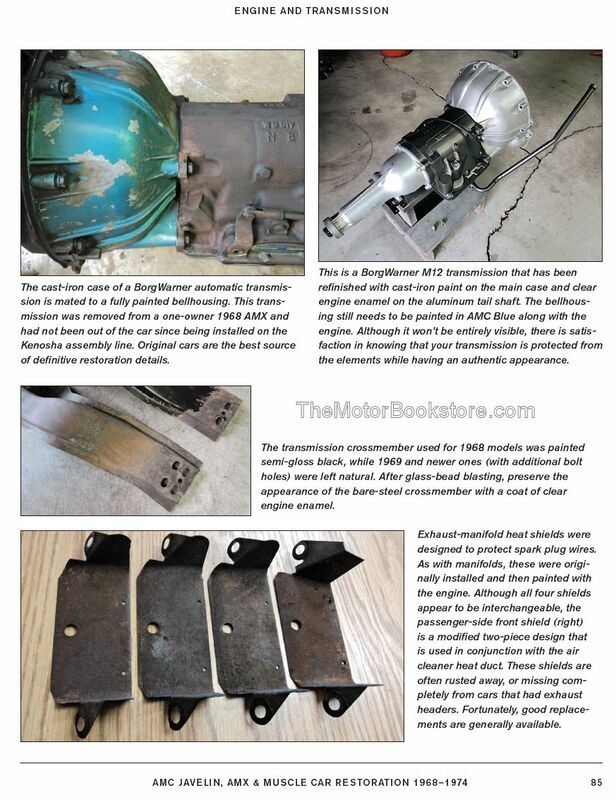 AMC Javelin, AMX & Muscle Car Restoration: 1968-1974 is a must have addition for any personal or professional shop devoted to the AMC Javelin & AMX muscle cars. Campbell grew up in the era when the Gremlin and Hornet Sportabout's were hot ticket items. His first vehicle was an AMX model from 1969 which gave rise to his love of loud motors and fast cars. With his own hands he has gone through the detailed process of restoring bodywork to multiple vehicle types. Campbell is also adept at the specialized repair and vehicular maintenance of AMC Javelins, AMX models and various other muscle cars. If you know someone who loves to hear the rumble of an AMC motor revved up to roar down a main drag then you know someone like Campbell, an enthusiastic muscle car hobbyist. This book is a wonderful addition to any car enthusiast's library for personal or professional garages. 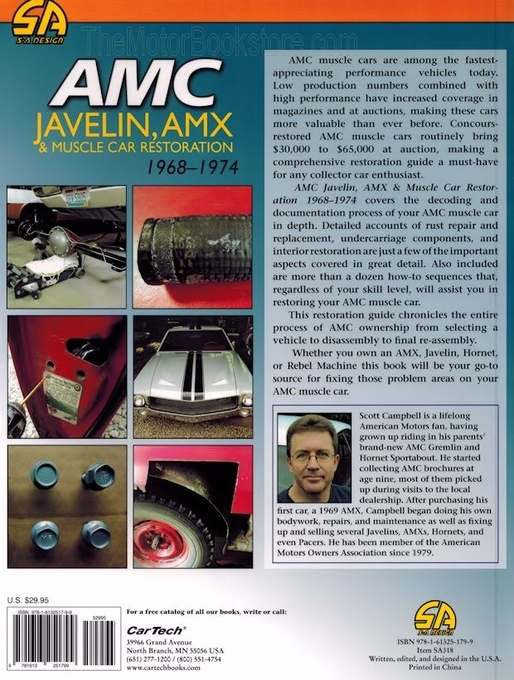 Campbell's guide is a great find for new and experienced mechanics looking for Javelin / AMX restoration tips. This book is a great gift for anyone who loves muscle cars! 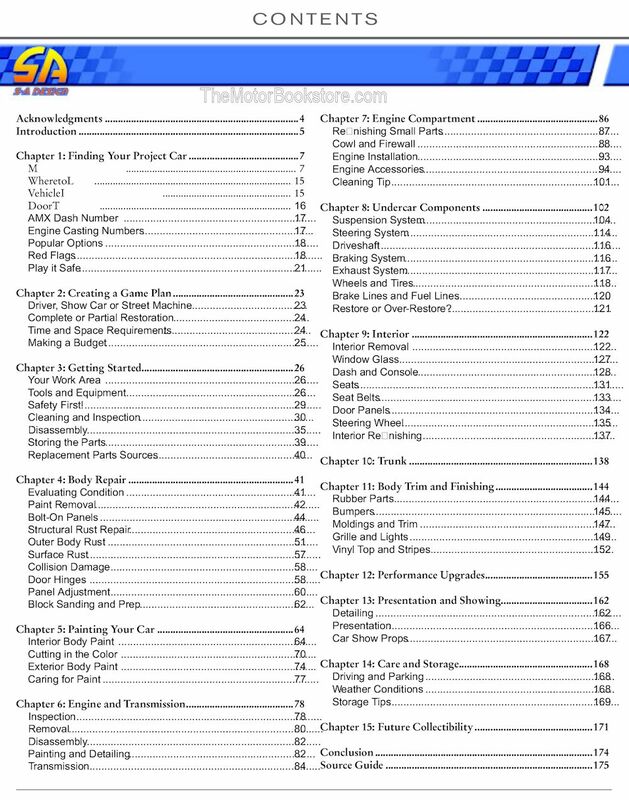 Refer to the Specifications Tab for a sample page from this book which discusses AMC Engine and Transmissions. Below: AMC Javelin, AMX & Muscle Car Restoration by Mike Scott Campbell Sample Page. Copyright CarTech Books. 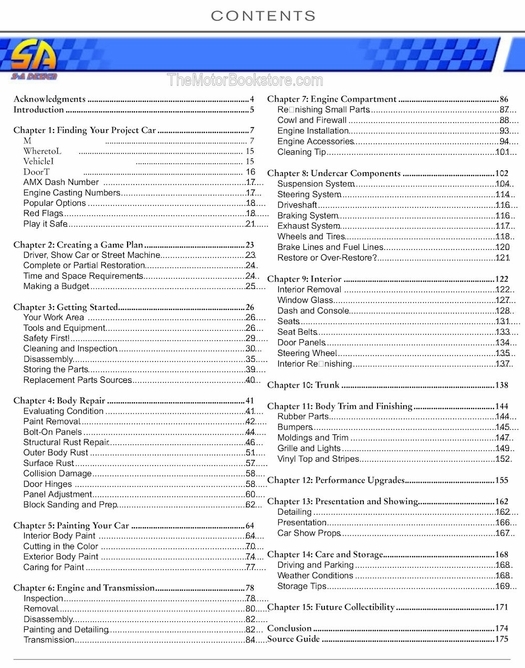 Above: AMC Javelin, AMX and Muscle Car Restoration 1968-1974: How-To Restoration Guide by Scott Campbell - Table of Contents. Copyright CarTech Books. 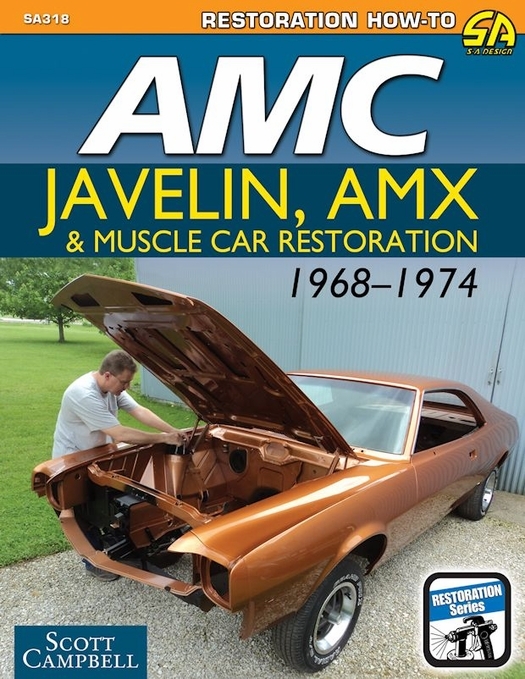 Ask a question about AMC Javelin, AMX & Muscle Car Restoration 1968-1974.